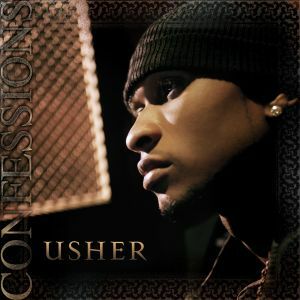 Today in 2004, Usher released what would become his most commercially successful album: Confessions. Fresh off a breakup with Chilli (after which he publicly confessed to cheating), Usher bamboozled us all into thinking he was releasing a full album’s worth of autobiographical material, but in reality, the album was a brilliant mixture of slow jams and club bangers that were largely unrelated to what was going on in his personal life. And even the few tracks that appear to mirror his personal life were actually based on Usher’s friends relationships. Sonically, Confessions generally picks up right where Usher left off on 8701, with Jermaine Dupri and Jimmy Jam & Terry Lewis returning to handle a lot of the production. The key difference between both albums is that Confessions has more production from “trendy” producers of the time (including Rich Harrison, Just Blaze, and Dre & Vidal). Confessions produced four No.1 hits (“Yeah!” featuring Lil Jon and Ludacris, “Burn,” “Confessions Part II” and “My Boo” featuring Alicia Keys) and one top 10 (“Caught Up”). The album had one of the highest first week sales of all time (with almost 1.1 million copies sold in the US alone) and has gone on to sell over 20 million copies worldwide. Billboard Magazine ranks it as the 16th best-charting album of all time on the Billboard 200. Picking a favorite from this album was no easy feat, but at this very moment, I’m rolling with “Bad Girl.” Below is his iconic performance of that with Beyoncé during The Truth Tour.